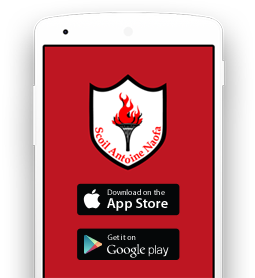 Designation: St. Anthony’s is a Roman Catholic Primary School, recognised by the Department of Education and Skills as an all-boys Primary School Under the patronage of the Catholic Bishop of Cork and Ross. As a Roman Catholic School, St Anthony’s aims at promoting the full and harmonious development of all pupils’ cognitive, intellectual, physical, cultural, moral and spiritual needs including a living relationship with God and other people. The school models and promotes a philosophy of life inspired by belief in God and in the life, death and resurrection of Jesus Christ. The school caters for the full range of classes from Junior Infants to Sixth Class. It is an inclusive school and strives to cater for children of all abilities. There are 46 full-time teachers, including the Principal Mr. Seán Lyons, Resource/ Learning Support teachers. Special Needs Assistants (SNA’s herein) are assigned to the school by the Department of Education and Skills to enable the inclusion of certain children with special educational needs. Presently we have 9 fulltime and 2 part-time SNAs. St. Anthony’s operates under the Rules for National Schools and Department Circulars and is funded by grants. The staff is resourced by the Department of Education and Skills. The school operates subject to the provisions of The Education Act 1988; The Education Welfare Act 2000; The Education of Persons with Special Needs Act 2004, The Education (Admissions to Schools) Act 2018, Equality Law and all other relevant National and European legislation. This Admissions Policy has been formulated in accordance with the provisions of The Education Act 1988 and The Education (Admissions to Schools) Act 2018. The Board of Management trusts that by so doing, parents will be assisted in relation to Enrolment matters. The Principal and/or the Chairperson of the Board of Management will be happy to clarify any further matters arising from this policy. Application forms are available from the school’s office. Parents seeking to enrol boys should return a completed application form together with the child’s original birth/adoption certificate to the school. Parents of children who have accepted a place in Junior Infants for the following September will be invited to a meeting in the school in March/April of that year. Children will be enrolled on application provided that there is space available. Junior Infants are enrolled in September provided the child has reached his 4th Normally, Junior Infants will not be enrolled during the year unless transferring from another school. This is for educational reasons as the curriculum is progressive and it is necessary for the child to complete a full year. Parents will be informed of acceptance of the child to the school as soon as possible. No child is refused admission for reasons of ethnicity, special educational needs, disability, language/accent, traveller status, asylum-seeker/refugee status, religious, political beliefs and values, family or social circumstance. While recognising the right of parents to enrol their child in the school of their choice, the Board of Management is also responsible to respect the rights of the existing school community, and in particular children already enrolled. Children enrolled in the school are required to adhere to and support the school’s Code of Behaviour as well as all other policies. Parents/Guardians are responsible for ensuring that their child/children co-operate with these policies in an age-appropriate way. Children who live within the parish boundaries. Brothers of boys already enrolled (including step-siblings resident at the same address. Children who apply to the school and are not resident in the parish. In the event of being unable to enrol children in any year, the child’s name will be placed on a waiting list in accordance with the criteria above. Pupils may transfer to the school at any time, subject to school policy, available space and in some cases, the approval of the Department of Education and Skills. It is a requirement of the Board of Management that information concerning attendance and the child’s educational progress be communicated between schools. The Board will have regard for relevant Department of Education and Skills guidelines in relation to class size and staffing provisions and/or any other relevant requirements concerning accommodation, including physical space and the health and welfare of children. The Board is bound by the Department of Education and Skill’s Rules for National Schools, which provides that pupils commencing Junior Infants may only be enrolled from the age of 4 years and upwards, though compulsory attendance does not apply until the age of 6 years. Children with special educational needs are welcome to enrol in St. Anthony’s and every effort will be made to provide them with an appropriate education as well as to include them in every aspect of school life. In relation to applications for the enrolment of children with special needs the Board of Management will request a copy of the child’s medical and/or psychological report or where such a report is not available, will request that the child be assessed immediately. The purpose of the assessment report is to assist the school in establishing the educational and training needs of the child relevant to his disability or special needs and to profile the support services required. The school will meet with the parents of the child and with the SENO to discuss the child’s needs and the school’s suitability or capability in meeting those needs. Where necessary, a full case conference involving all parties will be held, which may include parents, principal, class teacher, SEN Co-Ordinator, SEN teacher, Special Educational Needs Organiser or psychologist, as appropriate. The Board of Management may defer enrolment of a pupil with Special Needs until such time as all necessary resources are in place in the school. Bearing in mind the Catholic ethos of the school, every effort will be made so that the school is as inclusive as possible. While Catholic education and the ethos of the school permeates the day, children of other faiths or none, where request is made in writing, will be excused from attendance at formal religious instruction classes and specifically Catholic liturgies. As far as is possible, in consultation with parents, suitable alternative arrangements will be made in order to facilitate this. It will not be possible, however, to provide religious instruction in other faiths. In line with Section 28 of The Education Act 1988, parents who are dissatisfied with an enrolment decision may appeal to the Board of Management. The appeal must be addressed, in writing to the Chairperson of the Board stating the grounds for the appeal and lodged within 10 days of receiving the refusal. Parents who are unhappy with the result of this appeal may appeal to The Department of Education and Skills under Section 29 of the Education Act. This needs to be done on an official form provided by the Department which the school will issue to the Parent/Guardian. This appeal must be lodged within 42 days of the receipt of the refusal from the school to enrol.